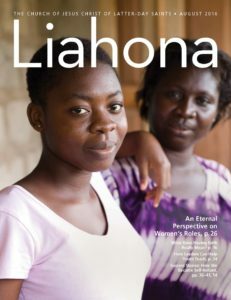 The Liahona is the international magazine of The Church of Jesus Christ of Latter-day Saints and is published in print and online in 48 languages. Some languages have only one issue a year and others receive more, depending on the number of members that speak each language. The Liahona has articles for children, teens, and adults, all of which are published concurrently in the Church’s English magazines (Ensign, New Era, and Friend) in the same month. 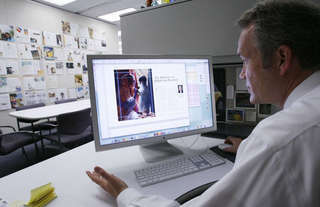 The Liahona also has news pages that are tailored for a particular area of the world. See all the Church magazines at magazines.lds.org and in the Gospel Library mobile app. The Liahona is published monthly in the following 21 languages: Cebuano, Chinese, Danish, Dutch, English, Finnish, French, German, Italian, Japanese, Korean, Norwegian, Portuguese, Russia, Samoan, Spanish, Swedish, Tagalog, Thai, Tongan, and Ukrainian. It is published 6 times per year (2 conference issues and 4 regular issues in the months of Jan, Apr, May, Jul, Oct, Nov) in the following 3 languages: Hungarian, Indonesian, and Chinese Simplified. It is published 6 times per year (6 regular issues in the months of Jan, Apr, Jun, Jul, Oct, Dec) in the following 2 languages: Cambodian and Mongolian. It is published 4 times per year (2 conference issues and 2 regular issues in the months of Apr, May, Oct, Nov) in the following 10 languages: Albanian, Armenian, Bulgarian, Czech, Fijian, Malagasy, Polish, Romanian, Tahitian, and Vietnamese. It is published 4 times per year (4 regular issues in the months of Jan, Apr, Jul, Oct) in Kiribati. It is published 3 times per year (3 regular issues in the months of Apr, Jul, Oct) in Urdu. 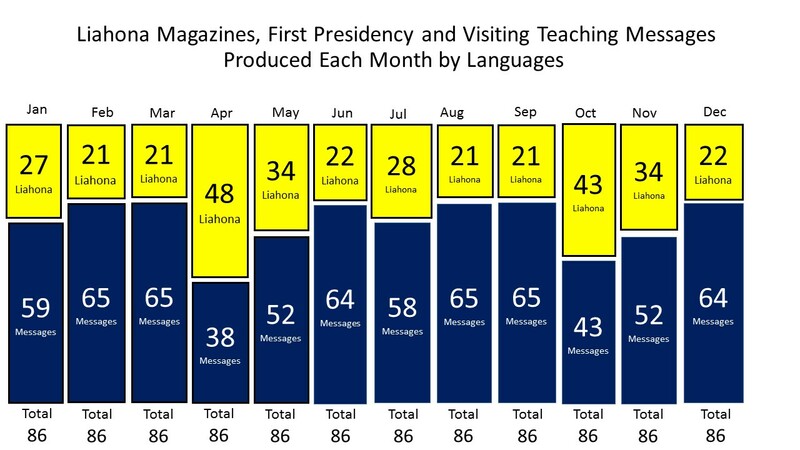 It is published 2 times per year (2 regular issues in the months of Apr, Oct) in the following 5 languages: Bislama, Estonian, Latvian, Lithuanian, and Marshallese. It is published once a year in April in the following 5 languages: Croatian, Greek, Icelandic, Slovenian, and Swahili. 86 languages receive the First Presidency Message and the Visiting Teaching Message each month. They are published either as part of the Liahona or as a separate item if the language doesn’t get the Liahona in a given month. The languages are as follows: Afrikaans, Albanian, American Sign Language, Amharic, Arabic, Armenian, Bislama, Braille (English), Bulgarian, Burmese, Cambodian, Cebuano, Chinese, Chinese (Simplified), Chuukese, Croatian, Czech, Danish, Dutch, Efik, English, Estonian, Fante, Fijian, Finnish, French, Georgian, German, Greek, Haitian, Hiligaynon, Hindi, Hindi (Fiji), Hmong, Hungarian, Icelandic, Igbo, Ilokano, Indonesian, Italian, Japanese, Kiribati, Korean, Kosraean, Laotian, Latvian, Lingala, Lithuanian, Malagasy, Malay, Maltese, Marshallese, Mongolian, Nepali, Norwegian, Palauan, Pohnpeian, Polish, Portuguese, Romanian, Russian, Samoan, Serbian, Sinhala, Slovak, Slovenian, Spanish, Swahili, Swedish, Tagalog, Tahitian, Tamil, Telugu, Thai, Tok Pisin, Tongan, Tswana, Turkish, Twi, Ukrainian, Urdu, Vietnamese, Xhosa, Yapese, Yoruba, and Zulu. Subscribe to the Liahona to have the printed version delivered to you. Read it offline in the Gospel Library mobile app. Listen to the audio in English, Spanish, and Portuguese by going to liahona.lds.org, selecting a month, then clicking the icon in the “Listen” column. Stay up-to-date about the magazine by “Liking” the Liahona’s Facebook page (facebook.com/liahona.magazine). Thanks for this list! Do languages without a May or November issue not get a conference issue? For example, Mongolian and Cambodian are published 6 times a year, but don’t have a May or November issue. That’s right. Mongolian and Cambodian don’t get a conference issue.